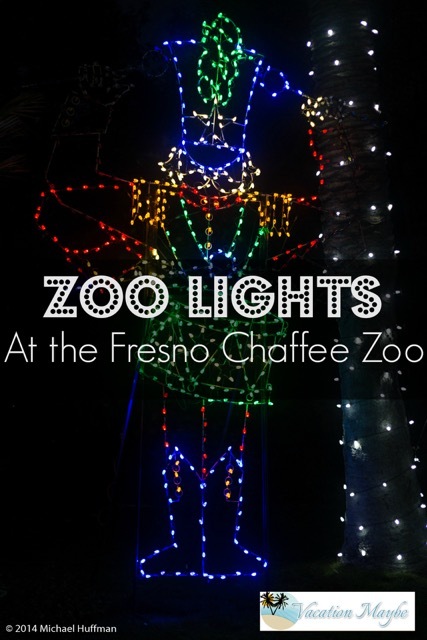 A day at the Zoo is always a great adventure, but this Christmas the Fresno Chaffee Zoo invites you to join in on a visit to the zoo with Christmas lights decorated through out the zoo. My family was able to visit this event opening weekend, but there are still plenty of days available for visiting. It will definitely get you in the Christmas spirit. The event starts at 5:00 PM, ends at 8:00 PM and costs $8 for adults and $4 for children (Dates: Dec 5-7, 12-14, 19-23 & 26-30). 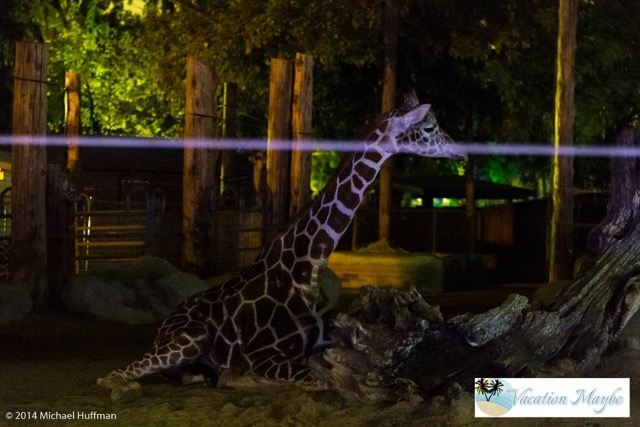 Besides walking through the many displays of lights and decorations it was fun to see some of the animal during the evening hours. The highlight for us was when the giraffes came out of their hut and walked right in front of us. 1, 2…6 giraffes. They were so much fun to look at as they walked, ate and played in their home. We were also able to see a few other animals, like elephants, seals and the reptile house was open. Stingray bay was also decorated and open for visitors. We ended our evening by picking up the hot chocolate and cookies included for free with your ticket. It was a perfect way to end the evening and warmed us up from the inside out. A great event you should definitely not miss. If you need more information you can check out their website here. Can’t get enough Christmas lights this season? Us either. 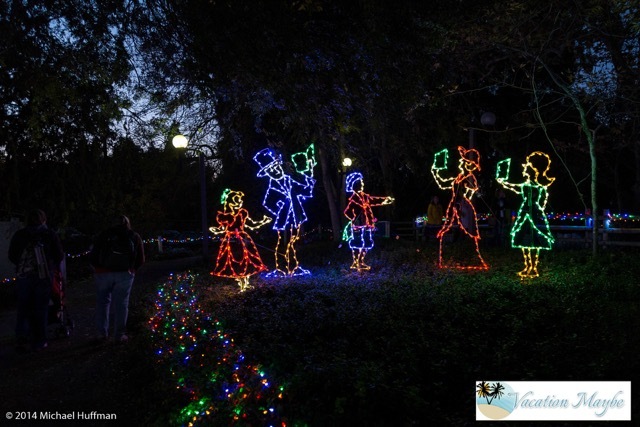 Check out Christmas Tree Lane, also in Fresno.